As August slowly comes to an end and back to school advertisements take over — I start to think of what I would wear if I was going back to school. I also have a lot of younger kurvy followers and I thought this would be a great chance to feature a “back to school” fashion post for them! This weekend I ventured out to my favourite local mall (Toronto Eatons Centre) and browsing around I noticed that the 90s are back in full force — from crop tops to chunky platforms and grunge. I must admit, it is a little scary to see things from my school days coming back in to style, but secretly I LOVE IT! I have put together two back to school looks that revolve around one awesome pair of tartan print leggings. The first look is a bit more casual/conservative and one second is a little more wild and reminiscent of one of my favourite high-school chick flicks — Mean Girls. 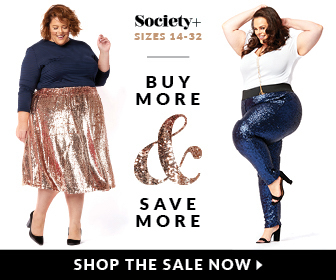 Both outfits are from Forever 21+, which I have to say is probably one of the most affordable places you are going to find for trendy plus size clothing, especially for younger plus size girls.